Earn $29.49 in Rewards credit (2949 points) What's This? 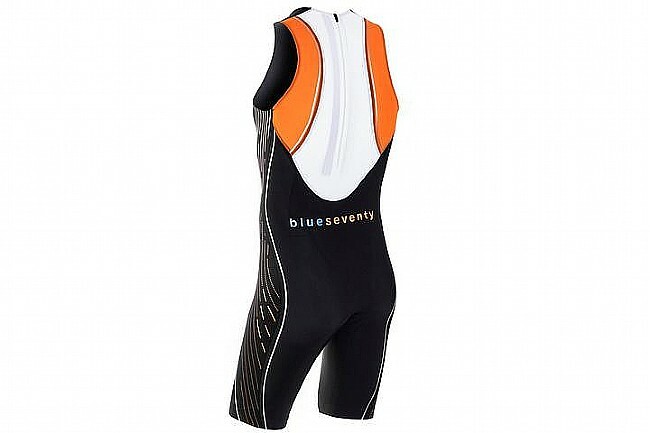 The Men’s PZ4TX Swimskin from BlueSeventy features a combination of high-quality Italian fabrics with hydrophobic, stretch, and compression properties, delivering lasting water repellency; muscle support; and an ergonomic fit. Folded and bonded seams prevent skin irritation and hot spots. 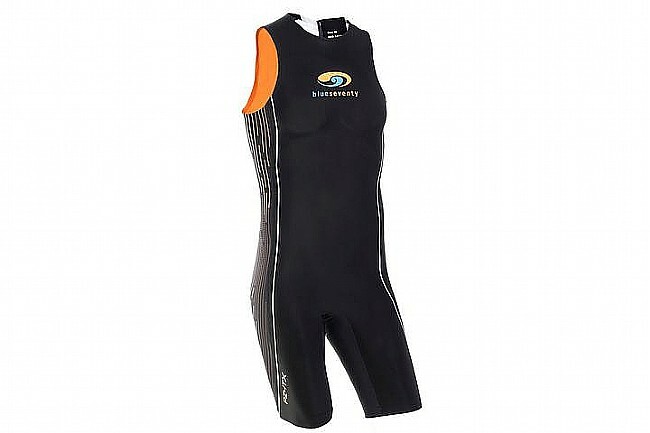 The back panel is constructed of breathable material that helps regulate body temperature. Its locking zipper is lanyard-free to reduce drag; remains secure when pointed down and easily unzips when pointed up. Hydrophobic compression fabric that retains shape and fit. Breathable back panel with locking zipper. 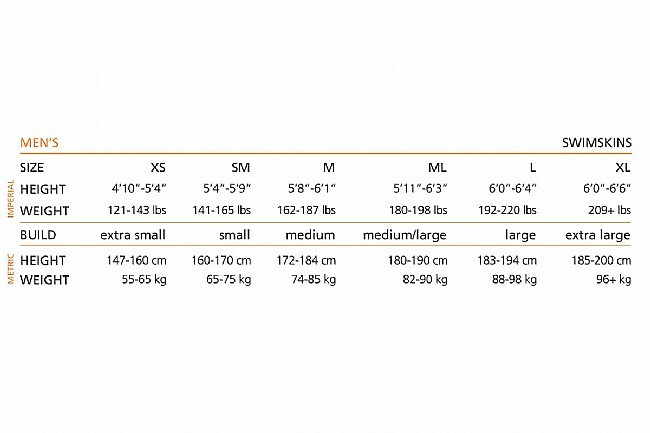 Height 4'10"-5'4" 5'4"-5'9" 5'8"-6'1" 5'11"-6'3" 6'0"-6'4" 6'0"-6'6"